Now in its tenth month, Raunds Film Afternoons at Saxon Hall are growing ever more popular and as well as our regular filmgoers we are seeing newcomers every month. Amongst our screenings we have shown great films such as: Florence Foster Jenkins, Hope Springs, Young Victoria, The Best Exotic Marigold Hotel, Calendar Girls, Victoria and Abdul and Their Finest. June’s film was the most popular yet and we welcomed over 120 local residents along to watch and enjoy the recent phenomenon that is The Greatest Showman. 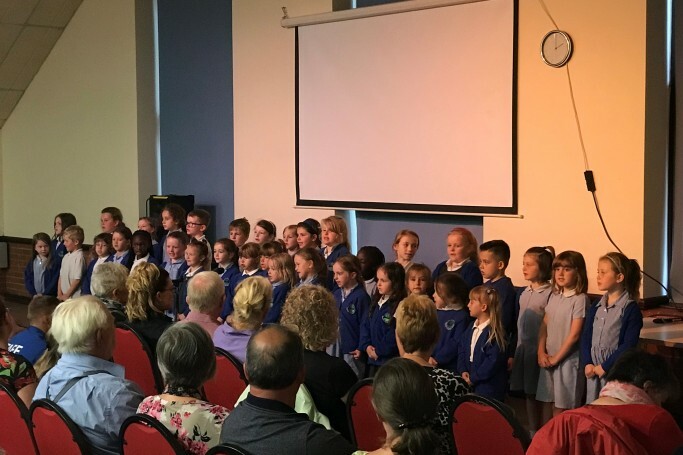 Guests were also treated to a performance of songs from the film by pupils of Park Infants School choir. To reserve your seat for one of our Film Afternoons which are on the 3rd Wednesday of each month, call 01933 622087. For details: www.raunds-tc.gov.uk. Error: Error validating access token: Session has expired on Sunday, 10-Mar-19 10:19:09 PDT. The current time is Thursday, 25-Apr-19 15:13:08 PDT.